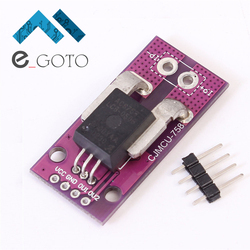 Home › Active Components › Sensors › IS Hall CJMCU-758 .. Application 1. The ACS758 outputs an analog signal,VOUT,that varies linearly with the uni- or bi-directional AC or DC primary sampled current, IP, within the range specified. CF is for optimal noise management, with values that depend on the application.